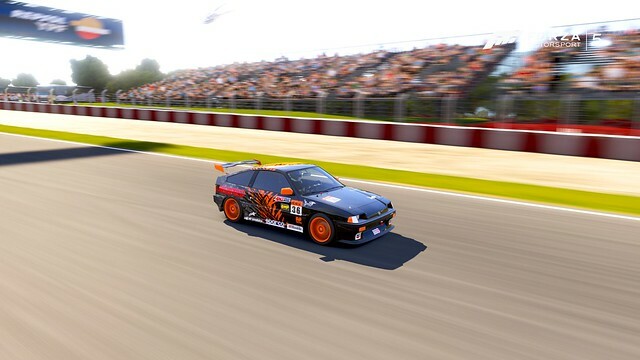 This wasn't carried over from FM4, I figured I would remake it just in case. Take your shot in-game and upload to store front. Follow instructions, then select the photo from your photostream. So the image files still have to uploaded and downloaded before they can be placed where the photographer wants them? Just like FM4? No way to transfer files via a USB drive? Is it still as slow a process as the FM4 servers? I could never get an FM4 image download to go faster than 0.1 megabyte per second, whereas I see 10 megabytes per second from other websites. And it it still only possible to upload one "Bigshot" image OR video file at a time? I have hundreds of FM photos and videos, but I finally gave up because the process is so darned slow, yet I was hoping that FM5, with new, faster hardware, they would have chosen ways to speed up the image transfers. I never had any horribly slow uploads, big shots took a while but it wasn't unlivable so I can't comment on that question. I don't ave XB1, so I can't comment on the USB either, however if you're suggesting you save pictures from FM5 directly from the game to a USB, I'm guessing that would need a third party tool, which would mean a ban. 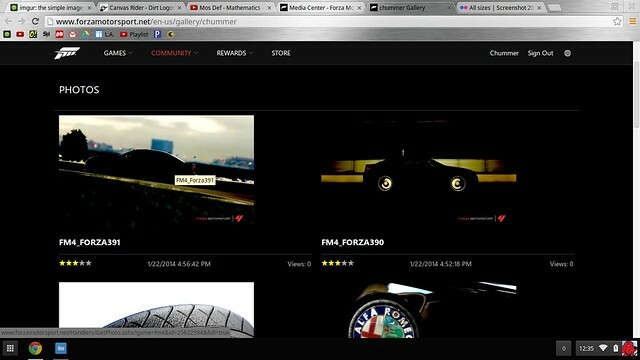 However, I can assure you the method I just showed you will work for all Forza games, as I just used it. I'm not a developer or even a moderator, so please direct any suggestions for improvement to the appropriate parties. Thanks for the tutorial ive been wondering how to do this im going to give it a try now. All the gear but no idea. Ahhh yes cool i tried what you suggested by putting the picture in as my signature and its worked so cool,there are some rules about picture privacy i think ive read somewhere so im wondering if the picture ive got as my signature is ok because i dont want a ban for any reason. 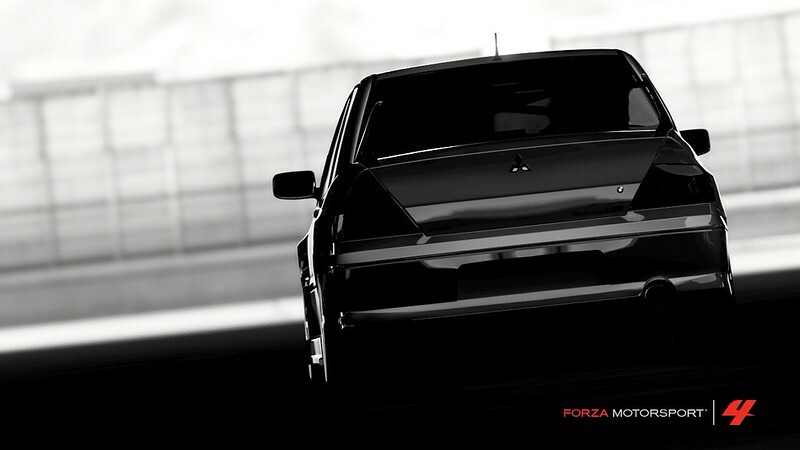 I have a massive investment in Forza, so I really want FM5 to be workable for me. I have four Xbox 360s, and three copies of each of FM, FM2, FM3 and FM4. Driving is done in a triple screen setup. While I wait for multi-screen in FM5, I'm trying to find out what the photography side is like, which is why I'm asking here. I have provided feedback to the Forza dev team regarding the need to streamline the photographic process, but it looks like it still hasn't happened. 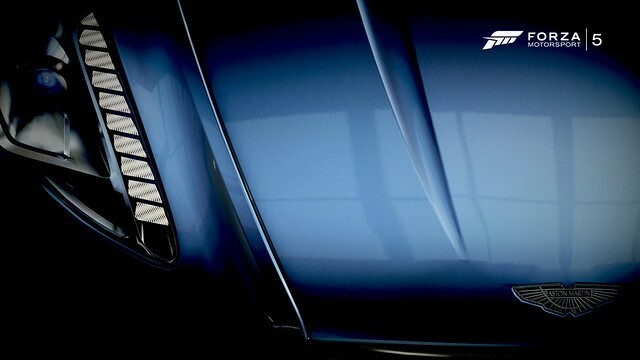 I take my photography seriously, so I only shoot 8.3 megapixel "Bigshots" in Forza, and I have several times won ribbons in photographic competitions with them. Also, while waiting for FM5 to be capable of what I want, I'm using GT on a PS3. This platform allows me to transfer, say, one hundred 8.3 megapixel Gran Tourismo photos via an external USB drive to my Mac. That takes about 10 minutes from plugging the drive into the PS3 to having them usable on my Mac. The slowest part of the process is the rendering of the image, which takes a similar amount of time to FM4. How long does it take to render a Bigshot? I'm guessing it's a lot faster on an Xbox One? Is there an option for higher resolution and/or dynamic range in FM5? Higher than a Bigshot BMP. Is it still only possible to transfer one Bigshot at a time, requiring that I upload at the Xbox, move to the Mac and download, and when that's complete, I can go back to the Xbox and upload the next one? Larko, what's "Medium 800"? If it's a way to transfer high resolution images quickly, then tell me more! If it's a low resolution option, then I don't want that. In post-processing, I can make a low-res image from a hi-res, but not the other way around. That's the reason I always shoot RAW in my DSLR. There is a MUCH easier way to post. if you do not want the info under the photo, delete the second line of text before posting. Possum- 100 bigshots would take a long time. I've only ever uploaded a few at a time, and a group of about 7 or so will take 2-3 minutes. 100 is a lot, you might want to use a spare computer if you have one and have it run in the background. And 800 is just a bigger size, not as often used. Same quality though. Wonderpill- How does that work? Are you in your image host or the gallery when you do that. Medium 800 (800 x 450) is a size option on Flickr in which you wish to view or copy the image link. This size fills the forum size so you can see more of the image. How can we upload if the storefront doesn't even work yet? Or am I just looking in the wrong place? You "Share" your photo. It then appears in your Gallery. You can view your photo's form the Community drop-down menu on the top of the forum and choose Gallery. Does it works with FM3? Yes, to find your FM3 pics just scroll down until they appear. Do i put spaces in? Help please I used to know how to do this too! I have 7-8 photos shared and they're not showing up in my gallery. Any suggestions? When I select COMMUNITY > GALLERY > there is nothing there. Even though I know I've shared photos and replays. Which hosting site are you using ? Ditto, I have tried 4 or 5 times to upload photos following this guide, also using Flikr and all I get is a line of text. Have now given up.